As you look back over 2011 share 5 blessings; they can be as grand or as simple as you like; if your year has been like mine, they are probably a mixture! 1) Ken's cancer treatment this year didn't turn out anything like we thought it would. Still overcoming obstacles. We were blessed by love and support from people near and far: church, web, RevGals, family. There were nurses and one particular dentist who turned out to be angels. 2) Perhaps the greatest blessing is that he has now put together a week of good days. That is the first since before treatment began in June. He's out on a motorcycle run right now and I'm delighted. Gorgeous sunny weather and great for riding. 3) Internet community of tubies...people who eat or feed someone a blenderized diet...has been invaluable. Ken was never able to tolerate Ensure or other medically created formulas for enteral feeding, and I learned so much from the folks online about using a Vitamix blender to create varied, nutritious, and tolerable meals for him. Especially I met ("met") Aadhar O'Gorman, a fascinating fellow in Australia who has been a pioneer in this area...while his degenerative condition is bringing his death ever nearer. His writing about these things is fascinating and moving, and his plans for a Natural Burial appeal to me greatly. Check out Entropy and Light at this link. 4) My parents have endured ongoing health challenges but are well supported by their church, friends, and my local sister and her family. For self-preservation I have had to set boundaries and get clear that Ken and his care was my priority this year. I have not been to San Angelo but once since May...for a great 168th birthday party that honored both my parents (Mom was 80 and Dad turned 86). They have a new lady named Velma who comes in and loves and cares for them. I am delighted by this. I want to be there but can't, and I'm glad that she and Nancy my sister can. 5) Our daughter Holley is doing so well and I'm so proud of her. At 32 she is working as an EMT and is building a house in the Houston area. And while this year has been extremely challenging for Brandon (22) and for our relationship with him...I truly believe we have all learned from it. He is working at UNT in Facilities Management and I am proud of his commitment to that job and learning new things. I guess this one belongs in the Hopes area too. We hope so much for our kids, especially their taking responsibility and learning to be happy and productive away from us. 6) Too important to leave out...Amy Haynie's ordination to the diaconate in May and to the priesthood in December. What a glory to God. She came to visit Ken during our December week in the hospital (the week prior to her priestly ordination) and as I watched her minister to both of us, and anoint him and pray, the rightness and trueness of this long-denied vocation flooded me. The Spirit was present in that place. Thanks be to God. 1) I hope that Ken continues to feel better each day. I hope that we can find a doctor/nutritionist/other person who will be ideally trained to help him create a plan of moderate exercise and body-building diet to regain the strength and muscle tone that the year has taken from him. 2) I hope I can (and will!) now concentrate some more on my own body and soul and their needs. This week's vacation has amply illustrated that, once all the responsibilities of work and Christmas "let down" I sort of collapsed. Including literally; I had a bad fall in the driveway a few days ago and I'm all beat up. I am certain that is my body's way of saying, "Hey...slow down and pay attention." So here I am. My word for 2012 is "window." This is important to me in many ways. In 2009 I changed jobs and was moved into a small room without a window. I loved the work but hated the enclosed feeling; it felt like a punishment for 2 years. Several weeks ago I had the opportunity to move to a new space with TWO (2) windows. It's on the third floor of an old building and I glory, glory in the light, the views, the rain, the birds and squirrels. And my husband had cancer treatment this year. We are looking forward from a sad and bad year to a new and healthier, happier one. We are looking into the window of the new year for our future. I am physically washing windows of my home in this vacation. I will be focusing on this through the year...figurative window cleaning...Like Felix, who became a Bishop in Madeleine L'Engle's A Severed Wasp...who told Katherine he was "a window cleaner." His call was to be a person who cleared the way for others. I need to at least be that for myself. I hope to be. 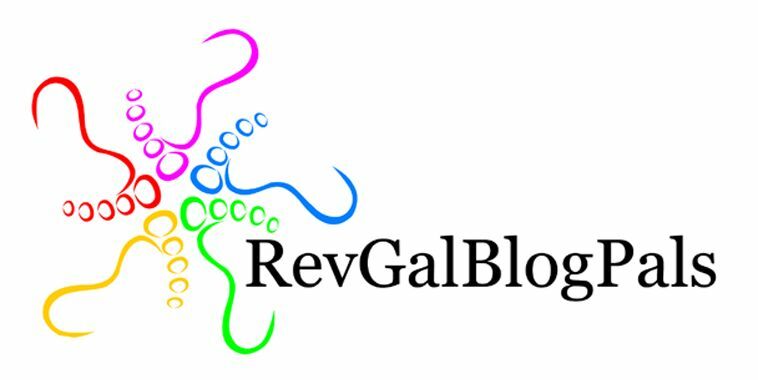 4) I hope to be on the RevGals BE5 Cruise in late January/early February. I have been signed up for months, and paid up, and at this point am totally planning on it. There have been times in the last few months when I have doubted I would feel free to leave Ken. I hope, oh I hope, I can go. I need it so much. 5) and I hope so much for our world. Just typing that brings tears. I feel very vulnerable and horrible for the pain and suffering that are so many people's daily lives...and animals', and the planet's...I am praying to discern where my ministry is outside my home.